Encountering the God who Heals hows how the healing ministry is so closely linked to finding the presence of God and seeing what can flow from him. The author author contends that the focus of healing is really all about meeting with Jesus. This is therefore also a book about prayer and intimate with God in which we can all share, and through that find the healing Jesus we long to meet. The book is divided into three parts. The first part looks at the sheer wonder of who we are. Without that realisation, we may find it hard to understand why God would ever touch someone like us. The second part explains what 'encounter prayer' is, and encourage us all to enter into it for ourselves. The final part looks at how we can prayer for others. Throughout the book John shares life-changing testimonies, sound teaching and clear practical suggestions for encountering God. This is valuable resource for anyone wanting to find more of God's love for individuals seeking healing and those praying for others. 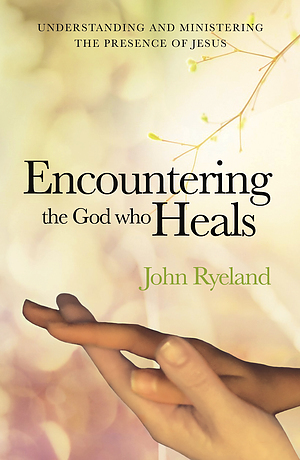 Encountering the God Who Heals by John Ryeland was published by Malcolm Down Publishing in July 2017 and is our 26102nd best seller. The ISBN for Encountering the God Who Heals is 9781910786734. Be the first to review Encountering the God Who Heals! Got a question? No problem! Just click here to ask us about Encountering the God Who Heals.